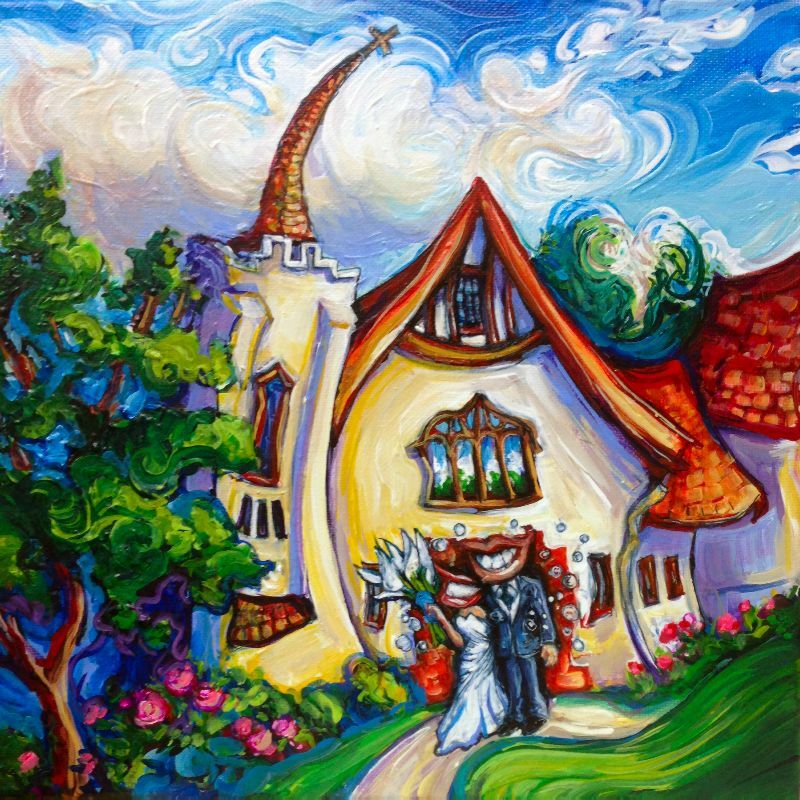 This cute little scene is the fairytale-like Scarboro Church in Calgary. The bride wanted to surprise the groom on their anniversary and asked me if I could include a bride and groom figure in the painting. She included a couple of pictures from their wedding day as asked me to take a look. As soon as I saw the pictures of this very cute and very happy couple, the idea of “Happy Day” popped into my head. So everything is smiling, even the building. The bride and groom are (literally) all smiles and surrounded by effervescent bubbles. There are also a few heart shapes and I worked in the wedding’s true-blue turquoise color in the trees and sky. It’s an absolutely happy day.